I spend most of my writing time talking about politics. If you devote any of your time reading about the state of our union, you undoubtedly know that the contentious nature of our politics has never been greater than it is today. We come to our faith in the hopes of calmer and more peaceful time. Yet, the same divisions that divide us politically, tend to filter into our faith traditions as well. We are divided there as well. We divide over doctrine assuredly, and we divide over what constitutes proper obedience to God. We interpret differently about all too many issues, and miss along the way the truth that is offered to us in simple and complex stories, meant not to suffice as some history, but rather to teach important moral truths about us and our relationship to our God. Yet, time and time again, when we look carefully, we find answers to our differences. 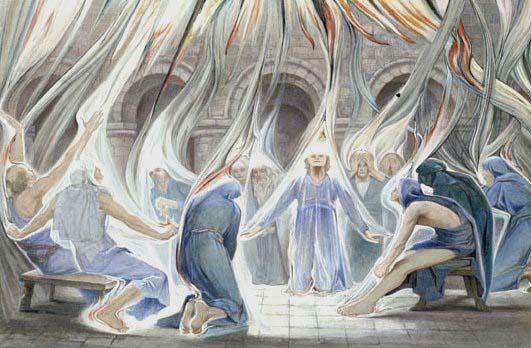 Today, on Pentecost we celebrate the coming of the Holy Spirit, that mysterious aspect of the Triune God that is in some sense ephemeral to us. Jesus we can “get”, for Jesus took human form, and we relate to Him in that fashion, as a person. We tend of course to do the same with God the Father, fashioning Him a “throne” and giving him a hands to hold us. The Spirit, however, is wispy and not within our grasp physically. Yet for us, the Spirit is perhaps the most approachable of the aspects of the Trinity. It is described in powerful language of wind and fire, things that were life-giving and life-sustaining. Wind moved the fields of grain, helped them to grow strong and thrive. It moved ships at sea, bringing us to safe harbor. Fire provided warmth, safety from wild animals, and the cooking medium for our food. And the Spirit is indeed powerful. Many attribute the Spirit for the Second Vatican Council, and its radical realignment of the Church. Many find the Spirit at work in important events of our time, drawing us together, bringing forth an unthought of consensus in our darkest of hours. That is an amazing statement and should give us serious pause. What Paul says is that if someone declares themselves to be a Christian, they can only say that because they are filled with the Spirit of God. They have been, in a sense, stamped with approval. Who are we, then, as mere mortals, those who are to be guided by that Spirit, to dispute what the Spirit has decided? In our drive to “understand” we take upon ourselves the audacious “right” to decide that God would or would not come to “this type of person” or “that type of group”. We not only decide what God would or would not do, based upon our human thinking, but then we “act” for God in refusing such persons or groups the full welcome due them as members of our faith communities. After Timothy Cardinal Dolan wrote a column comparing practicing homosexuals and others who approach Holy Communion in a state of serious sin to children who fail to wash their hands before supper, homosexual Catholics and their supporters showed up for Mass at St. Patrick’s Cathedral with filthy hands as a form of protest, and were denied entry. Joseph Amodeo, the organizer of the protest, said that the act of dirtying their hands was an attempt to tell Cardinal Dolan that those who practice the gay lifestyle should be accepted as they are. The small group of about ten protesters was intercepted by NYC police, who informed them that the Cathedral would not allow them to protest the Mass. Undaunted, Amodeo and his allies proceeded to St. Patrick’s anyway, where they were informed that they were welcome at Mass, provided they washed their hands. Amodeo said he was “astounded” by the request. This is taking over what belongs to God in the most awful way to my mind. Surely Jesus can come to those persons Jesus chooses under the bread and wine without the help of the Cardinal or any one for that matter. Surely Jesus can refrain from joining to any person under the bread and win without help of the Cardinal as well. We do well to remember that we are creature, not mini-gods. None of us, from the laity to the clergy stands in any different place vis-a-vis our Creator. The Spirit goes where it will, and it affects what It chooses. Let not we poorly understanding humans get in the way. In John’s Gospel, we have the beautiful final discourses. John places Jesus’ last words before his arrest, where they can be seen as prophesies and promises and become all the more powerful to us. As Fr. 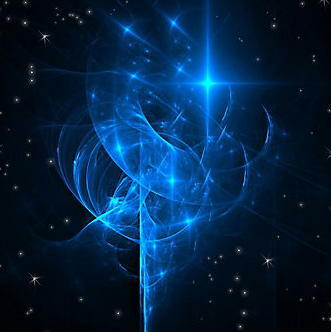 Ron Rolheiser suggests, the Spirit is the very life force of the universe, breathing it into existence, and being the “glue” if you will, that animates and orchestrates it. Jesus thus suggests that this Spirit of God, present since before the beginning, will be a personal presence in the lives of all who welcome it into their lives. The Spirit represents that personalized God who dwells intimately with His people. The Father, so Jesus explains, sends His Spirit in Jesus’ name, as a sign to us that what we have learned from Jesus is in fact the Father’s will. We begin to see the interplay in this trinity of love, God, Redeemer, and Holy Spirit. All are one, one are all, each a part, yet not separate, each with its own duties, yet doing the will of all. This is mystery in its finest manifestation. We can trust this Spirit as being of God, because Jesus has told us it can be trusted. It will teach us everything. It will remind us of what Jesus taught. Strange and opaque words are they not? It is said by some that Vatican II showed the in-pouring of the Spirit in a most obvious way. A council that started in one direction, is captured by the Spirit, and sent on a new trajectory. Some are saying the same thing about the Pontificate of Francis. This is the key to understanding I believe. We are all of us, attempting to discern truth. We read the bible. We read learned and not so learned “experts”. We pray. We think. We ponder. We all wish to believe that the Spirit guides our conclusions. We all wish to believe that we understand rightly. Some of us are very sure of that. Some of us are not at all sure. How can we be? 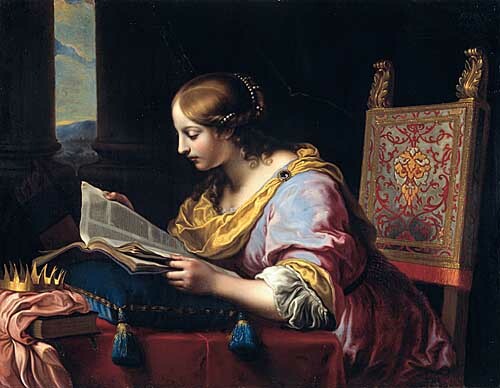 The bible, (except for some few of us) remains a maddeningly enigmatic series of documents, difficult to define, difficult to unravel, seemingly contradictory in places and inexplicable in others. The more we study the more we realize that it is a collection of very different writings pointing in many different directions. As I said, it is only the most arrogant of persons who claims that it is obvious and clear. Let us be honest. We are but mortals attempting to define that which is ineffable. We walk upon holy ground. We breath holy air. We are gifted with this life of short duration, a mere moment in the grand design. We are like an ant trying to discern the pattern in an area rug which we walk upon. We cannot see the expanse to make out the pattern. Yet, we have this Spirit guiding us. And if we remember the words of Jesus, recorded in some fashion within the Gospels as they have come down to us–if we remember the ideas and the themes he brought to us, THEN these become the guide to how we might approach understanding “God’s Will”. When our understanding is in alignment with what Jesus said, then we approach truth. When it does not, when we stretch and twist the Gospel stories to stand for things that can bear no relationship to Jesus’ world, or to the body of his teachings, then we are moving from truth and toward a self-centered non-truth that may serve us but not the Gospel. If we must warp the Gospel to reach the place we want to go, we are most assuredly heading in the wrong direction. We can learn “everything” from the Spirit when we use as our template the basic tenets of love, kindness, forgiveness, inclusiveness, justice, fairness, equality, patience, humility, and honesty. These are what the Master taught. We will act within the Spirit of God when we bring to every experience these qualities. The Spirit will tell you everything. I’ve been thinking a lot about Abraham lately. I’m as bothered by this as I am about God inflicting Job with all his woes as the object of a wager with Satan. This is not my God, this God who uses and abuses his very own. It is one of the reasons why any rational person should rebel at the demand that scripture be taken literally. For the God portrayed in these examples is not a God to love or worship. It is only a God to be ignored at one’s peril. But of course, most of us aren’t literalists. We see that scripture is the reflection of those who came before us on how they came to recognize and live with this transcendent God. How they came to see their relationship to this all-powerful deity. How they came to enter into the grace of faith and understanding. As is so often the case with scripture, because surely it is divinely inspired, scripture often informs scripture. We find answers to the deeply agonizing questions offered up by one text in another. Such is the case today, at least for me. Today John tells us that in those final hours in the life of the Master, he said some amazing things. 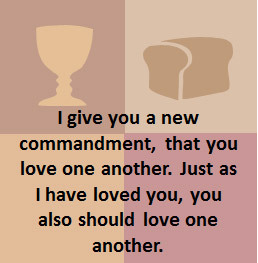 Among them, he issued his own commandment, a “new” one as he said. What would you do? Well, quite obviously, you would either alert the woman’s husband or call the authorities. In any case, you would do all you could to prevent her from this act. If you learned of the act after it had been done, you would expect the woman to be taken into custody and either held for treatment or otherwise confined. Many would of course dispute her “vision” and claim her either mad or a murderer. That would be the sane response. Yet we read the story of Abraham and Isaac as if it all makes perfect sense. In the story, Abraham, known to love Isaac as his long-awaited son by Sarah, makes not a single objection. He offers no mental reservation, no agony of decision whatsoever. Is this even normal? Of course it is not. And the story is just that, a story. God does not and would not ask such a thing of his creatures. The story illustrates in some crude fashion, how important it is to put God first in one’s life. It suggests that God means more than anything else. God’s desires come first. And it is crude, let’s be clear. 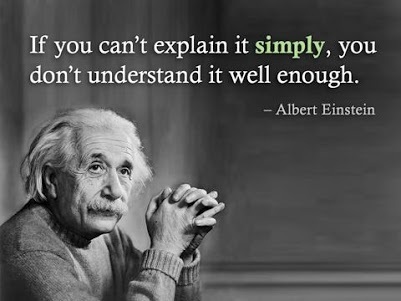 As is often the case with a teaching moment, we go way over the top to make a point. This the writer did. If you think you know what loving God means, well let me tell you what it REALLY means, the writer suggests. It’s hyperbole in its extreme form. God would never ask such a thing. No rational person would do such a thing. It it meant to instruct us on what it means to love God, and of course to show us how very very short of the mark we really are. We cannot comprehend even how to love God like this. Yet, in today’s Gospel reading, Jesus shows us exactly and perfectly how to love God. He simplifies it for us. Love your neighbor as I have loved you. Jesus, in his time with his disciples has shown them again and again the meaning of love. This willingness to think of others first, this willingness to get up when tired, and offer help, this willingness to bear the condemnation of others for the “company you keep”. Jesus showed his disciples that to lead, indeed to love, meant being last, being the servant, making sure that each and every person one encountered was brought into wholeness. Jesus was about to show them ultimately that life itself was worth sacrificing for a principle–not someone else’s life, but his own. The principle of course was that being true to God in one’s heart, and living that out no matter what the personal sacrifice might entail was the way to bring heaven and earth into an embrace. Jesus answers the dilemma we face in the gruesome story of Abraham and his efforts to commit infanticide. He shows us what the love that the ancient writer was attempting to define actually is in real and practical terms. Scripture informs scripture, and forever teaches us that the stories are just that, stories which help us jump into the cloudy waters of our minds, to yet peel away another layer of darkness on the journey to the light. It’s undeniable that Jesus often made reference to us as “his sheep”. 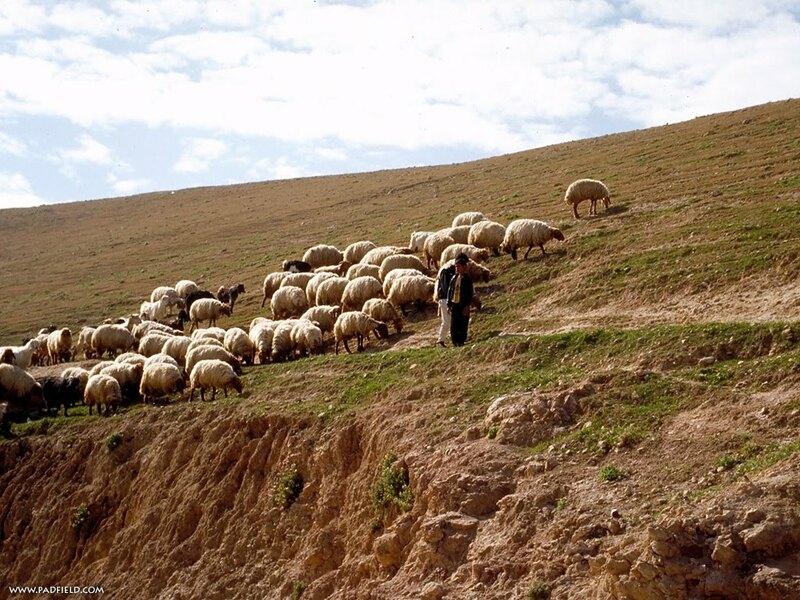 Just last week, Jesus instructed Peter to take care of his sheep, and today in John’s Gospel, Jesus tells us that his sheep know him, know his voice, and they follow. There is something of course quite troubling about this if you think about it. It is now common in the political world to refer to those on either side of the political spectrum who are, shall we say, passionate in their feelings, “sheeple”. It is not a compliment. It refers to people who are acting like sheep, blindly following without independent thought. Think Pied Piper of Hamlin and the rats jumping off the docks into the water and their deaths. And indeed, as I am told by those who claim to know, it was common when a shepherd came into Jerusalem that he brought his flock of sheep to a common holding area. In those times, sheep were not marked in any way to define who belonged to who. Not only was the shepherd intimately familiar with his sheep, but the sheep “knew” the shepherd’s voice, and when he called, those that were his, they, and only they, followed and separated themselves out again. There is some comfort in this explanation, for we believe that Jesus indeed does KNOW us that intimately. As is said in the scriptures, God knows us down to the number of hairs upon our heads. But are we blind followers, responding only to the superficial “voice”? Skeptics and those who refer to themselves as atheists surely do account us as “sheeple”, blinding adhering to things that are fantastical and at times conflicting and brutal. They pepper us with isolated passages of biblical fare that present a God who is merciless, arbitrary, and cruel. How can you believe such things they say as they look on with disdain? They lay our faith down to being so fearful of the specter of death that we perpetuate a created sky God to save us. It is both troubling and painful to be portrayed this way. In that sense, the sheep metaphor is particularly unwelcome and uncomfortable. Again I ask, are we dumb followers? Are we so terrified of death? A bit of thought of course resets our compass. Of course we are not. Surely, if our goal was to comfort ourselves we could come up with a story that held together much better than this! We would not be confronted with the twists and conflicts, the contradictions and real errors that exist in the collection of writings that we lump together into a “book” and call scripture. The charge of following dumbly can be laid at the foot of some believers it is true. Some do actually think of faith as the ability to believe in a set of precepts without any wavering or any deep thinking. The idea of doubt is to them akin to slapping God across the face! But I think that true faith is full of doubt. 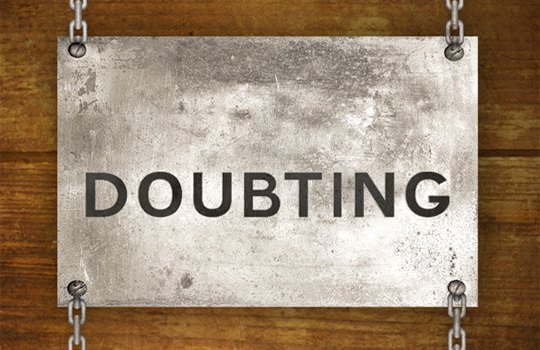 That doubt drives us into deeper contemplation and study. It is that practice that deepens and broadens our faith into maturity, one that is ever ongoing. Our lives are, so we think anyway, more complicated and busy than those of people before us. We are pulled and pushed by many forces. The cacophony of life threatens to drown us at times. As a retired person, I find my life so much busier than it used to be. I now have the choice of how to spend my time each day, and the calls to do “this” or “this” or “that” or “that” are nearly overwhelming. Yet, in the chaos that is every life, we can, if we listen carefully, hear his voice. We indeed do recognize HIS voice. And that voice causes us to pause, and recalculate who we are, where we are going, and what matters most. It is the beacon that draws us to the path once more, and guides us to listen to the voice as we interact with the world, basing our decisions and actions on principles that HE announced to us. Like the sheep, we can cut our way through the herd of humanity that we find ourselves in, and maintain a steady course toward the way of living that we believe is both moral and efficacious for us as humans. Rather than following out of fear, we follow out of hope, for ourselves and for humanity. We follow, believing that this way of life, with this shepherd lead to an expansion of our humanity individually and collectively. We are not sheeple. We have the keen awareness to discriminate between our shepherd and all the others calling to us. One of the enduring themes of the Gospels is the degree to which the disciples misunderstand Jesus. Mark makes this a major theme in his work, pointing out time and again that the apostles are unable to grasp the truth of who Jesus is, again and again. At times we, as readers, become exasperated by their blockheadedness , for it seems to obvious to us. Yet, we fail I think to recognize what it must have been like for them. Even in a culture steeped in some serious measure of mysticism, the things Jesus said and did, were beyond they own experiences. Is it so hard to imagine why they found it so difficult to gather in and process the true magnitude of what they were experiencing? Now, who else would be calling them children? 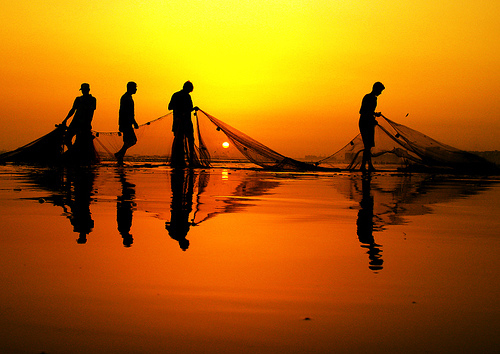 And surely they were not fishing for food to eat, for the lot of them were not necessary for that task. Yet, John claims that they did not recognize Jesus. This might be explainable if this was their first encounter with Christ after his death, but John points out at the end of the first section of this reading that it was their third such meeting with the Risen Lord. Jesus instructs them to cast their nets on the far side of the boat. This they do, even though as of yet, they have no idea who has given the order. It falls to the “disciple whom Jesus loved” to identify him. Peter in his exuberance, plunges into the waters and swims ashore, only to find Jesus tending the fire and cooking fish! The rest come ashore with their massive catch, and come to eat. It is one of those mysterious statements that confound us. What is meant here? I suggest that it relates not at all to the actual mechanics of facial recognition, but rather the continuing fog that seems to envelope this group of men and women when faced with what can only be a supernatural event. They keep having this “vision” of the man they have lived with intimately for three years. 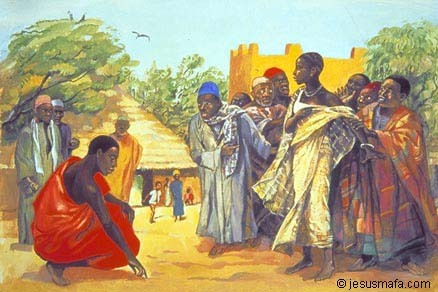 They had ate and slept with him, traveled the roads with him, listened to him preach. They had seem him joyous, sad, pensive, angry, all the emotions that they were prone to. He had become all too human to them, albeit he was strange in his talking and behaving at times. He had bled on the cross and he had died. He did what any human would do. Yet, in their sorrow and confusion about what to “do now”, they kept having these experiences of him. He was there, and then not there. He spoke, he was “touchable”. Yet suddenly he was gone again. They whispered among themselves, reassuring each other that they had in fact all felt his presence, yet all too soon, things returned to normal. Imagine in those moments of his presence–how everything must have become surreal–the air must have shimmered, the smells sharp and piercing, the sounds muted, echoing, searing the mind. And then suddenly, as if in a second, a shudder passes over the landscape and all returns to normal. The room is stifling hot, the odors of animals and human sweat return, the cacophony of human transactions outside, the dust. From a moment of euphoria, suddenly the stark reality of nothing has changed, returns. They try to reassure each other that what transpired was real, but as we learned last week, they could not convince even Thomas of the first encounter. And slowly their minds convince them that it was not really real at all, but figments of their desires and pain. By this third encounter, this one where Jesus eats with them in such a normal human fashion, their perplexity once again rushes at them. This is the Lord they are convinced. But he is not as before. Who and more importantly what is he? Who is this man/God who disrupts them again and again, refusing to leave them in their grief and desire to just get back to life as they knew it before Him. Each of us is called upon to lose our complacency of who Jesus is. Each of us is called to ponder more and more deeply what this Jesus is. Each of us is called to decide how this realization changes us, and changes everything about our lives. Our answers, as we journey along will change, grow, and develop. That is what conversion is, a continually evolving thing. That is what the disciples were learning in those days following the crucifixion. Have you ever noticed how much fear dominates the final scenes of Jesus’ life? And how the Lord responds to it Himself? It’s quite an object lesson. We start with the processional into Jerusalem. The people come out in droves, lining the street as he passes, waving palms and placing cloaks across the crude roadway in honor of the great Rabbi that some perhaps have heard preach, and many others by word of mouth have heard of. 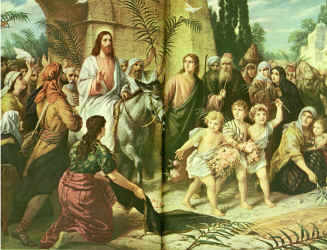 The welcome him to Jerusalem. Something exciting seems afoot here. At the Passover Supper, Jesus tries to explain what is to come. He makes a special point of emphasizing to them how they should remember him. He disappoints his disciples by telling them they shall not be great lords and masters in the coming kingdom but lowly servants, a thought that distresses and confuses them further. Peter assures the Lord that he is up to the task, he will willingly die for Jesus. Judas, apparently so overwhelmed by how Jesus is not what he has suspected, fears that all has been for naught, and goes off to betray the very man he has followed for so long. His fear overcomes him, and he reckons his life worth a few pieces of silver. His fear has won. When they come to arrest Jesus, one of his followers strikes out in anger and fear. He gains a rebuke from Jesus, and an instant healing of the damage done by the sword. Peter in terror, of course denies the Lord, his fear overcoming him completely. All the other apostles hide in fear. Arguably the enter proceedings before the Sanhedrin is an illustration of fear, fear of the unknown and fear that this man, this Jesus makes too much sense and is a danger to their authority, but also to their sense of how things should be. If you have lived your life in God a certain way, is it not petrifying to entertain the thought that you have judged things wrong all those years? For now fear has entered the population in general, and those who formerly welcomed Jesus with palms and obeisance, have been converted into an unruly mob that is operating from fear. This one they welcomed has been arrested! His followers are in denial or hiding. Will they be arrested as well for seeming to welcome this now “so-called” Messiah? They are offered his release, but their fear condemns them to call for the release of Barabbas. Barabbas seems the safer of the two to them. Call for the pardon of Jesus, and they too may find themselves in chains. Jesus is paraded through the streets and people watch. They follow silently to Golgotha, where the crucifixion takes place. AND THE PEOPLE STOOD BY AND WATCHED. And he died, and the curtain in the temple was rent, and the sun was eclipsed, and these same watchers now beat their breasts in lament. Fear now renewed. Jesus throughout is the model of courage. He shows us how to behave in the face of terror, for certainly what lay before him as he entered Jerusalem was clear and frightful. He prayed to God that he be released from what lay ahead, but acknowledged that he was prepared to do as God wished, not as he might. He stood in the face of unbelief and affront without blinking, without trembling, without fear. He answered calmly and then became silent for he knew that nothing he could say would change the outcome. It was his destiny and always had been. He bore his pain silently, and even on the cross cared more about others than himself. Fear is the enemy. It always has been. Evil entered this world when the first human acted out of fear and denied help to his brother, but thought first of himself. “I have enough for me, but not for both of us” and he turned his hand against his brother and sent him away to death in order to save his own. Fear has been our companion throughout human existence. Fear drives us to make decisions that appear right, but are usually not. It causes us to forsake exactly what we have claimed. Peter is the seminal example of what fear does to even the best of us. It is an object lesson. No matter what the situation, we must turn away from fear and enter into the light that is Jesus. Bathed in that glowing presence, we can breathe freely, think clearly, and make the choice that God would always have us make–the choice that brings forth the kingdom in glory and love. It is time to enter Jerusalem. It is time to face our fears. It is time to grasp the hand of our Lord, take a breath, and renew ourselves in the loving embrace of our God. And yet, there are those in Christendom who loudly proclaim “I have accepted Jesus!” and then demand, “are you saved?” Somehow accepting Jesus equals being saved. Yet, Paul felt no such assurance about his own future. I often talk to these folks who “have accepted Jesus.” There are nice enough people and all, but I find they oft-times hold some pretty strange views. For instance, many of them when asked what church they attend, assure me that they read the bible “all the time” and don’t need to hear anyone “tell them about Jesus.” Jesus speaks to the truly righteous through his WORD, and no explanations of “men” are necessary. When it’s pointed out that the Trinity at least in part, represents the community of believers, and that we are as God’s creatures, certainly best in community, they shrug as if they fail to see any significance in that. That the Gospels and much of Paul relates to “church” and incidents that arise in and around churchy things, seems to make no impression either. But what is most troubling to me is that they maintain adherence to such things as the death penalty, and the denial of social programs run by the government to assist the poor among us. I get all kinds of answers as to why this is so, and it’s not really pertinent to the point here, but I would hazard a guess that most Christians don’t find positions like this to be within the parameters of “following” Jesus. Yet, these same folks claim that they are saved, just by the mere confession of faith. And of course they do claim the faith. In fact they claim it as an absolute. There is no doubt of any kind about anything regarding Jesus or their faith. There are SURE. When it’s pointed out that perhaps the essence of faith is believing in the face of doubt, they look aghast. This usually commences another round of “are you saved”? While amusing, I think it raises a very important question. 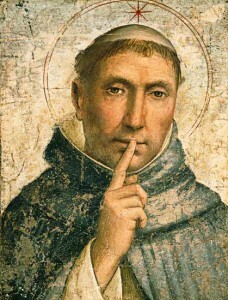 Can we sit back self-satisfied by our mere confession of faith? It’s the old argument I suppose of work versus faith alone. My contention has always been works identify you as one who is living in faith. How can you not serve in some capacity those less fortunate if you really have embodied the principles Jesus taught? So works to me are essential. Moreover, faith is a constant struggle, and not something one announces loudly to everyone as some proof. Proclaiming adherence to Jesus is no more that stating an intention to mold one’s life in the direction of discipleship. This points out a truth that is so clear to us–we are all in sin. We are all in the process of asking for forgiveness, and starting over again to live up to the model that Jesus sets for us. After the Pharisees have departed, Jesus assures the woman that he does not condemn her either. In fact, later, in talking again with the Pharisees, he tells them, “I judge no one.” While a whole series of reflections could revolve around just that statement alone, it’s what he says before that to the woman that drew me. Of course many use this to mean that Jesus judged the actions that brought her to him as sinful. But since there was no proof presented, that seems unlikely to be true here. Surely Jesus was unlikely to be teaching that a charge alone was sufficient. So what did he mean by his statement? The only conclusion I can come up with, is that Jesus was not referring to her alleged adultery at all, but was simply referring the sin that we all carry by virtue of being human. That is the beauty of God. Jesus reminds the Pharisees after this incident, that they (and us) judge by human standards. He does not. By our standards he does not judge at all. The woman’s “adultery” are of no real concern. It is the state of her heart, and her desire to climb the ladder toward God that concerns him. That he wishes to encourage in her! Being forgiven is all that we need to take a deep breath, aright ourselves, and reach again for the next rung of the ladder. We are forever in sin, yet free from sin, and in that brief moment in time, we reach to God.